Californians are some of the ‘hangriest’ people in America. 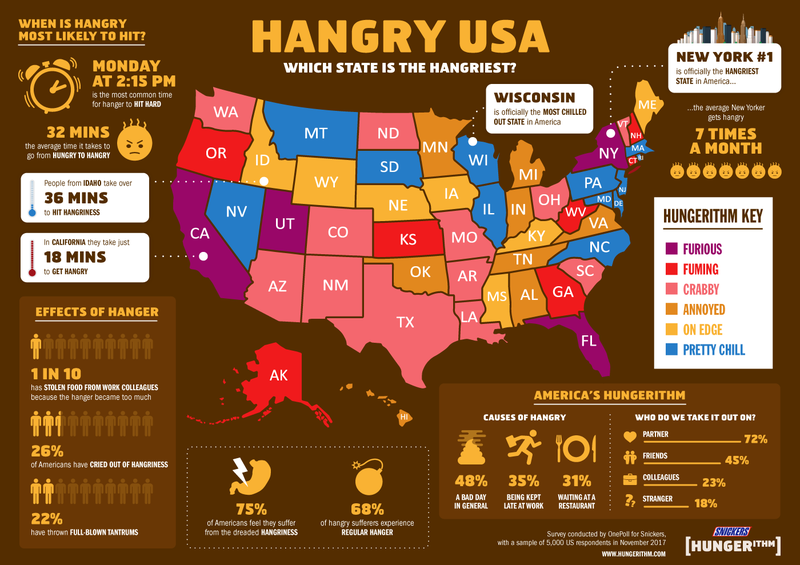 Californians can go from what the study calls ‘pretty chill’ to ‘furious’ on the hangry chart in just 18 minutes. Being hangry can bleed into every part of your day… work, commute, family life. Twenty six percent of people have cried from hangriness while 22% say they have had full blown tantrums.